Morning races were damp, light airs. Afternoon races started after a long delay waiting for wind which switched round 180 degrees, which did nothing to stop the drizzle! The wind did pick up a little, especially for the last race. Here are the provisional final results. Leo Wilkinson won the event. After being one of several OCS in the first race he won the remaining three. No-one else was quite so consistent. Bjorn Handley from QM had a couple of 2nd places and was first U13 and 2nd overall beating Maisie Bristow from the home club on tie break. 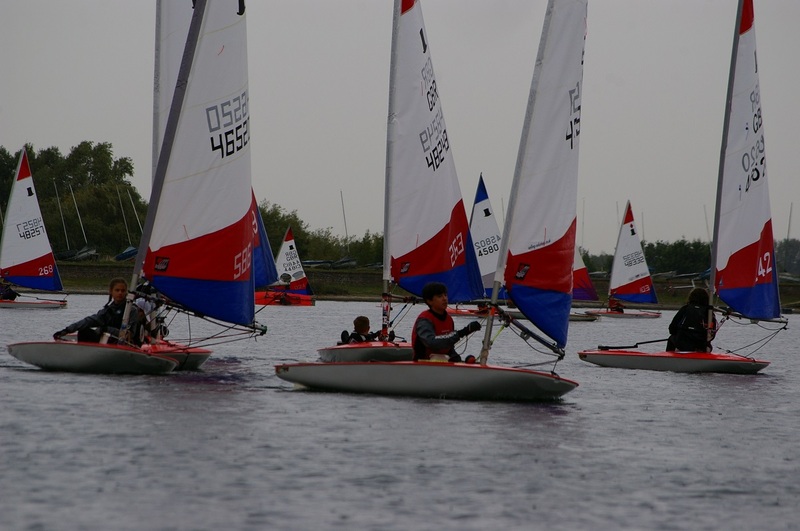 4th and 5th were Dan Perkins and Richie Thurlby from Warsash - there was a sizable and successful Warsash contingent. Sixth place went to Joseph Warwicker from Bough Beech.